The Marmot Women's Reyna Jacket is perfect for variable conditions - snowy weather, windy conditions, or even on a sunny day. I tested this jacket while backcountry ski guiding for two months in Hokkaido, the snowy northern island of Japan. Upon returning to sunny Colorado, the Reyna Jacket was still perfect for spring tours and climbs in Rocky Mountain National Park. Looking back, I have worn the Reyna Jacket on every guiding day of the past several months -- on windy and bitter cold days down to -20c and splitter blue sky days into up to 60F. 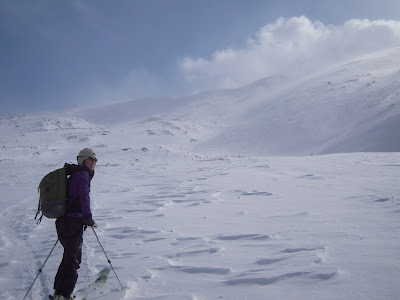 In full-on conditions, it was great as a wind stopper underneath the Marmot Dena Jacket (http://marmot.com/products/wms_dena_jacket). The Reyna Jacket's excellent hood helps trap heat also protects you from the wind! The combination of Marmot Reyna Jacket and Dena Jacket were the key this winter. Surprisingly breathable, you can wear the Reyna as an outer layer on warmer days or while skinning up a mountain. Thanks to under-arm zippers, I never over-heated while skiing or climbing, even when other had to strip a layer, prompting my clients to ask, "How is it that you never need to take layers on and off?" Magic, I guess -- or maybe just the Reyna Jacket. If you catch me guiding in Rocky Mountain National Park this Spring and Summer, chances are I will STILL be wearing the Reyna Jacket. Makes me wonder if I am going to be wearing this jacket for an entire year? Ladies, I guess the question is not whether you should get yourself a Marmot Reyna Jacket (you should), the question is just whether to get two! Thanks Marmot for such a functional jacket! Great article! Hope to read more from you. Keep it up! It looks so beatifull , I loved it.